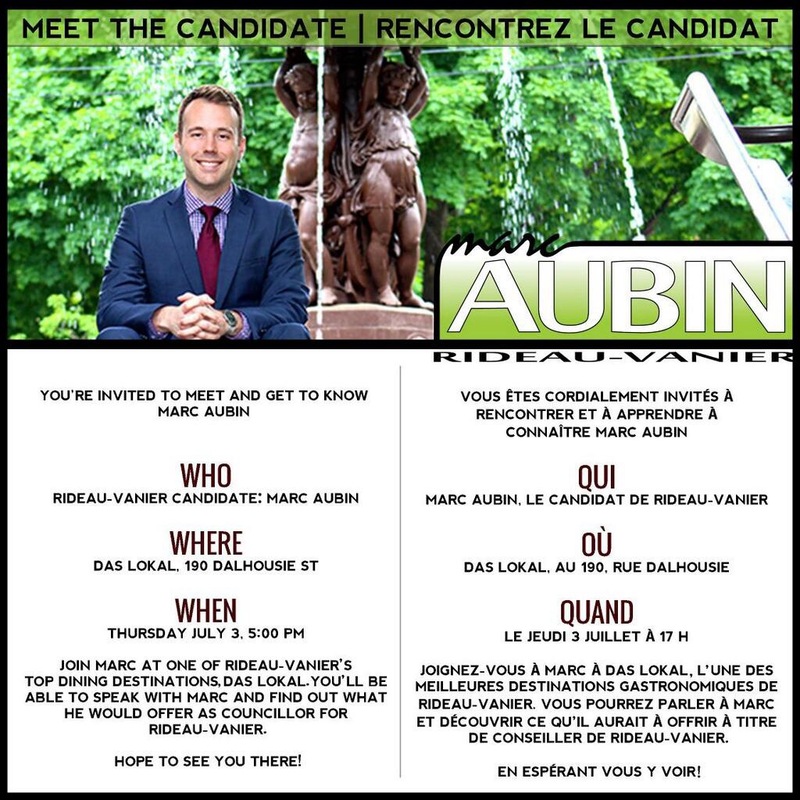 Another week, another Campaign launch for the Rideau-Vanier Councillor seat in Ward12! Wonderful to see so much advocacy and involvement in local politics – with the level of interest being shown there is no way but up for Ward12. Eye Spy: Blooming Businesses in Ward 12 – Support Local! 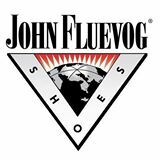 Amongst the Canada Day wandering we spied the new John Fluevog store’s Grand Opening in the Byward Market. The celebrated Canadian shoe-designer has opened his flagship Ottawa shop in the heart of the Market at 61 William St. at George. Nice to see another cobbler take over the premises that formerly hosted Lou’s Boots – good continuity and another great shop open for business in the hood! Straddling the border of Sandy Hill and Lowertown “Saffron Restaurant” at 426 Rideau St at Chapel has just been granted permission for a patio. This is thrilling news as the street fairly screams for more strolling leisurely foot traffic. Saffron deserve local support – this restaurant gets great reviews on both Yelp and Google+ and the entrepreneurial owners have, alongside great food; invested in free Wifi, offer an breathtakingly inexpensive breakfast and never stop improving the interior. 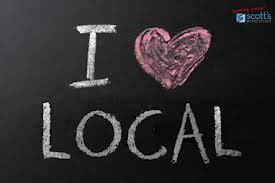 Lets give back the love and with the advent of the patio, let’s hope this is a trend that many more local businesses will follow. Ottawa bike share business RightBike is set to expand to three new neighbourhoods: Sandy Hill, Somerset West and Vanier. This couldn’t come at a better time as the Bixi bike-share program stumbles. 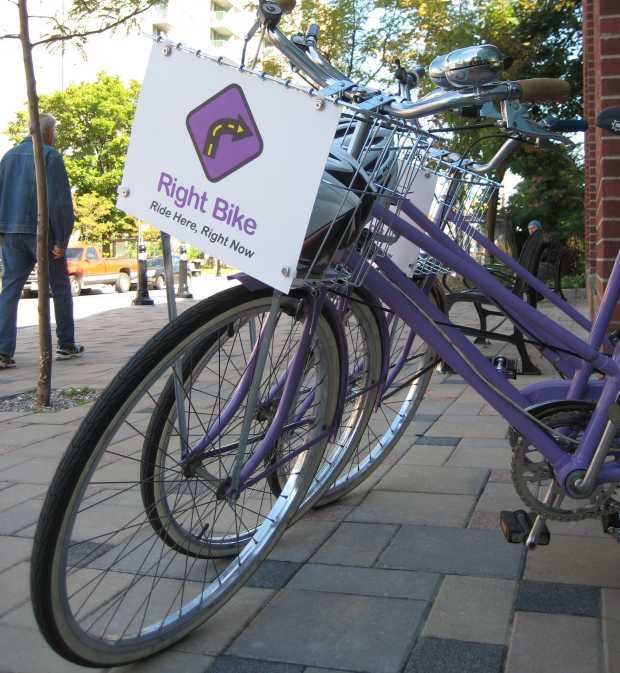 This local, community owned and socially minded business operates a fleet of purple bikes in Westboro, Wellington West and the Glebe. They are a not for profit business and part of the wonderful Causeway network that employs and empowers people with disabilities and challenges. Basically a model business providing sustainable, healthy and affordable shared transportation! Welcome RightBike we can’t wait to have you living local!